The Wave – North Coyote Butte. The expansion of the Internet has publicized The Wave – specifically thorough the proliferation of images and video available on the web. 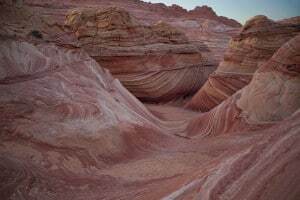 In addition, an article on the Vermillion Cliffs in the February 2012 issue of the National Geographic Magazine sparked the interest in The Wave and other nearby formations for millions for their readers.